Mount Sheridan Medical Practice is proudly marking 20 years of health care delivery on the south side of Cairns. 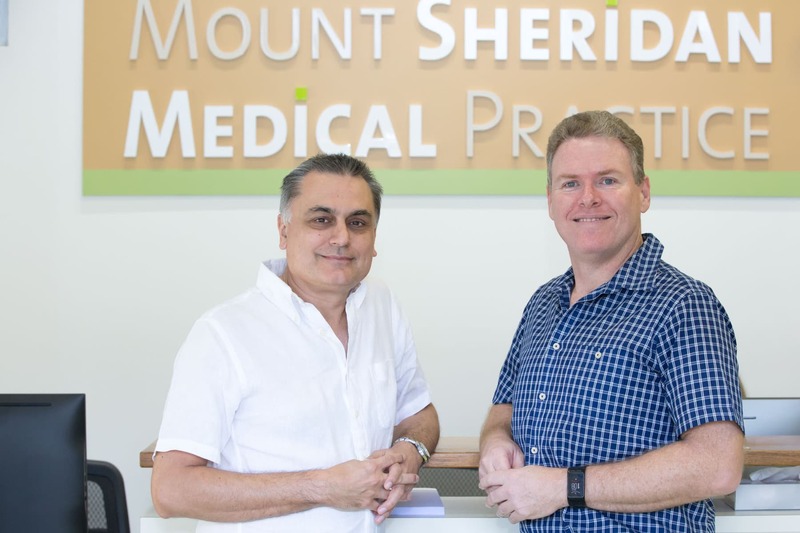 Servicing the whole of the south side, Mount Sheridan Medical Practice is home to 10 doctors with a wide range of expertise and interests. In 2009, the practice relocated and expanded the number of GPs and services available. Occupying a modern purpose-built medical hub on George Cannon Dr. MSMP offers a large cohort of GPs and registered nurses, each with different areas of interest. Principal practitioners Dr. Steven Rudolphy and Dr. Jason Delaney have experience in education. Dr. Rudolphy is a senior lecturer in general practice at James Cook University, while Dr. Delaney is a consultant medical educator with Medical Education Experts. The practice also offers training to medical and nursing students at James Cook University. Other doctors have different areas of interest; like Dr. John Gattera, who has a skin cancer clinic at the practice, and Dr. Alexandra Te-Loo, who performs gastric band adjustments. Together with the Forest Gardens Pharmacy, Cairns Total Physio and Sullivan Nicolaides Pathology all located next door, MSMP is a staple in the medical services provided to residents of the south side. The practice has qualified Pap smear registered nursed, and MSMP’s registered nurse Robyn Keating delivers diabetes care and education. The practice’s comprehensive diabetes care team also includes podiatrist Natalie Cristaudo and dietitian Connie Eales, who consult on Wednesdays. Other services include acne treatment, asthma treatment, health checks, chronic disease management and immunisation. If you’re planning travel overseas, MSMP has advice on immunisations. Mount Sheridan Medical Practice is at 6-8 George Cannon Dr. (just off the roundabout at Forest Gardens). For an appointment contact the team on ph: 4036 4333.